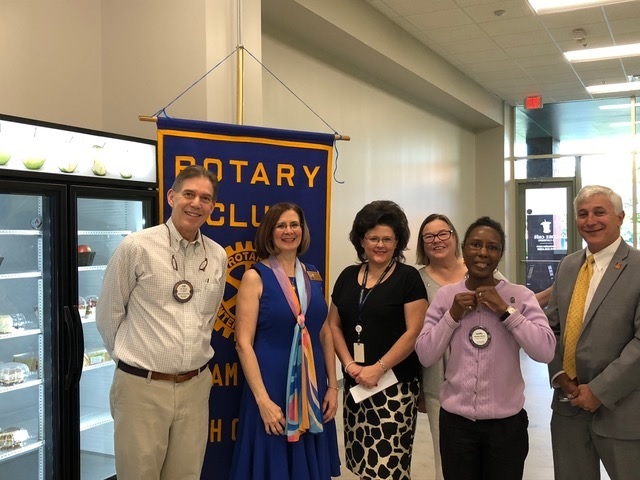 On July 11, we were delighted to have our District 7710 Governor for 2018-19, Donna Peffley, visit our club, along with Assistant District Governor Susan Ross and Assistant District Governor Elect Jeffrey Blass, in our new meeting location at Core Catering Cafe. While with us, Donna installed our new slate of officers for 2018-19. Donna also helped us induct two (2) new members. 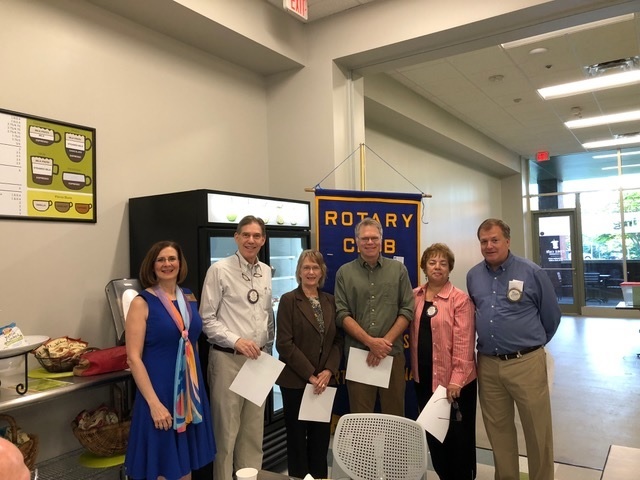 We are excited about Donna’s vision for the District, and about the new 2018-19 Rotary year !